Beautiful view of lake. Outside well cared for. Rooms on second floor accessed by outside metal stairs that are often wet. Not a good fit for senior citizens. Rooms have not been updated in a very long time. Very good. 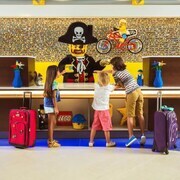 It's very close from Legoland and a very nice place. Close to LEGOLAND . Nice breakfast. Quiet. Game room. Noble cheapsters — are you ready to live large on a budget in Winter Haven? You'll find it approximately 230 miles southeast of Tallahassee, the state capital of Florida, and roughly 5 miles south of Lake Alfred. 34,000 locals live in this area of Lakeland - Winter Haven. Filling your schedule with thrilling activities is a piece of cake around here. Swap costly attractions for some cheap outdoor fun at Sertoma Park and Lions Park. Walk through impeccably kept grounds and interesting plant displays at Tiger Creek Preserve, Auburndale City Park, Saddle Creek County Park and Rotary Park. Nothing compares to hanging out with Mother Nature, especially when it's free! Don't bother with sniffing out the cheapest deals on accommodations, travel and amazing experiences. CheapTickets has figured it out for you, and we certainly haven't made any trade-offs on convenience or quality. Customize your thrifty adventure by picking and choosing from more than 500 airline partners and 500,000 properties around the world. To score savings of up to $481, simply combine your booking with a flight and hotel package. Sleep easy knowing if you settle on a vacation package now and find something cheaper within 48 hours, we'll meet it and give back the difference with our Price Guarantee. CheapTickets can fulfil your travel dreams at a price that won't empty your bank account. Not only have we got deals worth shouting about, we've got rewards too. With our program you can save loads of cash on CheapTickets hotel stays in the future. All you have to do is book a flight! Could CheapCash get any easier? 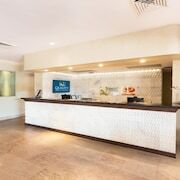 Just sign up free of charge or log in, join the program, and you'll instantly qualify for thrifty bonus offers and perks — and of course you'll accrue savings on all eligible bookings. It's minimum work for maximum reward! We know you're mad about cheap, so why not rent a car in Winter Haven? It's not only a terrific way of getting around, it'll save you big bucks too. 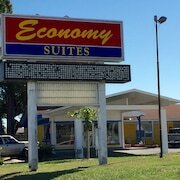 Enterprise is only 1 mile from the middle of town at 470 Cypress Gardens Blvd. So if you're eager to hit the bustling city streets, you know where to go. 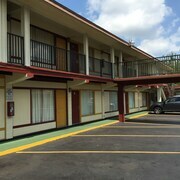 Another convenient outlet just 1 mile from the town center is Budget at 448 Cypress Gardens Blvd Se. 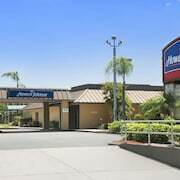 If you're hoping to stay the night, you should know there are only 14 hotels in Winter Haven. We can help you lock in a cheap and chic room, but you'll have to move fast! 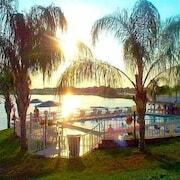 Look into the awesome amenities at the Hampton Inn Winter Haven and Lake Roy Beach Inn.